No, thanks, we vegans don't eat cruel products. We've become allergic to animal cruelty! Yes, we are vegans, but without renunciations: so why not give us a whim, but without anyone's suffering? It may not be exactly like the original "prosciutto e melone" (melon with ham), one to which we were accustomed from since an early age, what we ate ourselves for many years unconsciously and passively, without too many questions, to gratify our taste and without making us any problem of conscience, nor by equity or justice. Then we grew up as humans, and growing up we have become less arrogant and more aware, something snapped inside of us and opened our eyes to the immeasurable suffering that every day we brought to our table. Suffering caused by conformism, by pure whim, without any necessity. Avoidable suffering simply by eating vegan, a conscious choice that comes from our heart. As a result, this preparation, rather than a traditional macabre death meal, is meant to be an innovative, enthralling hymn to life! 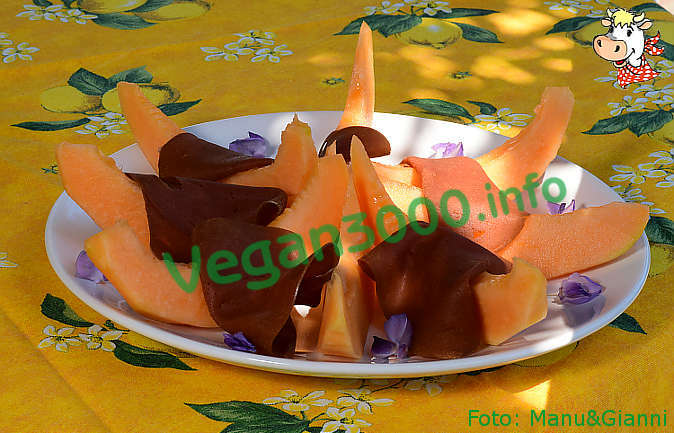 Clean the melon, cut out some slices and serve with sliced vegan ham. 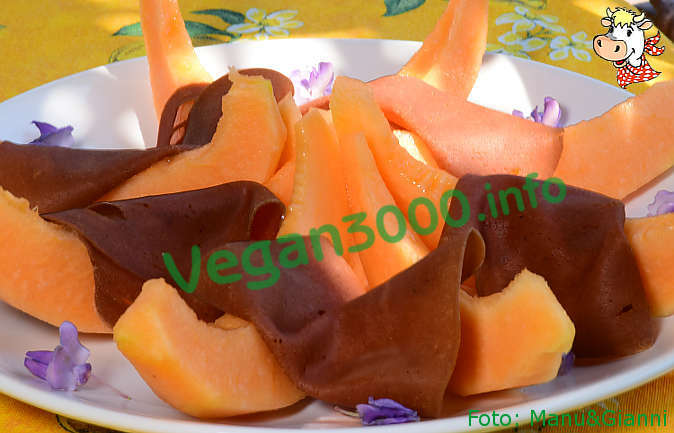 Choose a strong taste for your vegan ham, smoked too, so as to counteract the sweet taste of melon.